After many years I still depend on cooking thermometers and timers to make certain the beef, the pork, the poultry, the fish and sometimes even the eggs are cooked "to temp." I have cooked at home and at the restaurant for many, many years. I depend on these tools. You, too, should have an easy-to-use, reliable thermometer and timer. If your oven is properly calibrated and has an accurate timer ...what more do you need? My oven is not set up for a probe thermometer so I use a hand held "probe" thermometer to make certain I do not under-cook or over-cook the food I am preparing in the oven. But I also use a cooking thermometer to test foods on my grill and on my stove top. Make certain your oven temperature is calibrated. Make certain it is accurate. 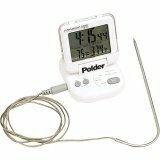 Check this with an oven thermometer like the one pictured. You can calibrate newer ovens easily. Check your manual. Second, make sure your oven timer is "on target." You can check it with a timer like the one pictured above. Then understand you should still use a probe thermometer to check the internal temperature of the food you are cooking (anywhere including in your oven, on the grill, or the stove top). A good cooking thermometer should have an easy-to-read dial. Many come with a dial that indicates the proper cooking temps for foods from rare beef to well-done poultry. 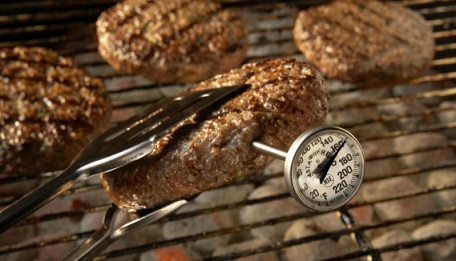 Some meat thermometers have a movable arrow or pointer that allows you to "mark" the temperature you desire as an added way to ensure you are able to read it easily. 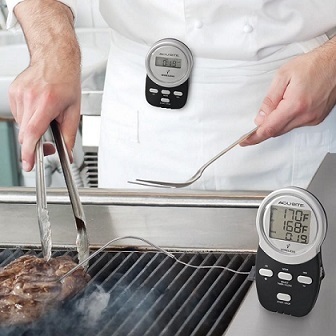 With this probe thermometer you insert its 6-inch stainless-steel shaft into the food you are cooking and monitor the temperature and time on its digital display which is connected to a four foot cord. You set the cooking time and desired temperature using its control panel and an alarm sounds when either is reached. It has a magnetic back so it can be mounted on a metal surface. The whole point of this thermometer is to be able to monitor the internal temperature of whatever you are cooking without opening the oven door. Its timer is to remind you when to check for doneness. The cooking thermometer above is digital and waterproof. Digital is the best way to go. 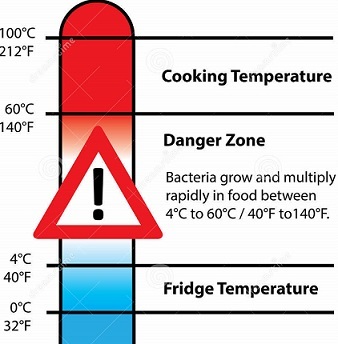 It has a range of -40 to 400 degrees F.
With this thermometer or a similar brand you can make certain your foods are properly cooked and properly cooled. Holding certain foods at a safe temperature is just as important as cooking to the right temperature. The thermometer delivers an instant readout (also a good deal) and an antibacterial storage and carrying sleeve. The stem is stainless steel. The thermometer is about 5-3/4 inches long. This is one of the MOST IMPORTANT tools you can own! There are cooking timers made with cords so you can hang the timer around your neck allowing you to do other things and not miss something cooking in the oven. It is easy to use, easy to read. It is a very handy kitchen tool. The fact that you can input the time directly makes this extremely user friendly. If you need a big display, this timer isn't for you. But for everyone else, this is the timer to get. I hope you found this information about thermometers and timers helpful. Spend some time reading additional articles about cooking tools and cookware on my website. Thanks for visiting!